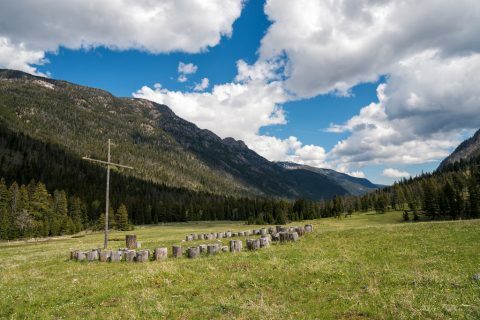 Located in the Rocky Mountains of southern Montana, Christikon Bible Camp lies near the center of the Absaroka-Beartooth Wilderness, just north of Yellowstone National Park. The surrounding high county ranges from 9,000 to 11,000 feet. We will spend 7 days backpacking the mountains in search of friendships, community, and peaks. Total Cost: $700 (significant fundraising will be done in the spring to defray cost) $50 deposit goes towards your total amount owed and is non-refundable. No refunds after April 25th and those who wish to cancel after that date will owe the full trip cost.